I was a first time customer yesterday when I placed an order for 600’ of rope to be overnighted. In my rush, I had the shipping and billing addresses mixed up. Once I realized this, a little panic set in and I set an email and placed a call trying to get this corrected. At 7:15pm I received an email from Val stating she happened to be working late and that she updated my addresses, and sent me a new confirmation. At times, it seems that customer service is a thing of the past. But Val proves that wrong. Not only is she my new best friend, but Rescuetech1 just got a new loyal customer. My thanks to Val, she is a star. 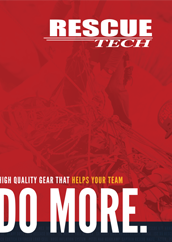 Allan Hancock College’s Regional Fire Academy and Training Facility in Lompoc California is fortunate to exclusively use Ruth Lee manikins in our program. We conduct all manner of Fire Rescue Training including Ladder Rescue, Building Search and Rescue, Vehicle Extrication, Rapid Intervention/Firefighter Rescue, and Rescue Under-Fire. 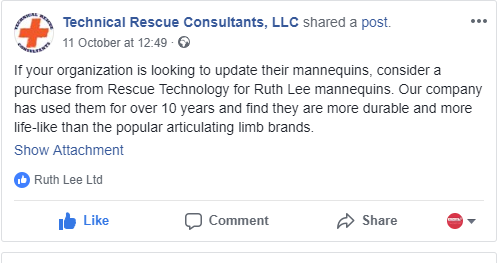 We find that, in addition to their durability under repeatedly harsh and abrasive conditions, the Ruth Lee products provide the most realistic feel and articulation during the manipulations necessary to effect Rescue. Of great importance to us is their accurate weight-proportioning which allows for safe and balanced handling of “victims” without worrying about pinching fingers in joints or the failure of limbs to articulate properly.